The best reference for our products is a satisfied customer - Effetec s.r.o. Effetec is the only Czech manufacturer of large-format digital UV printers. 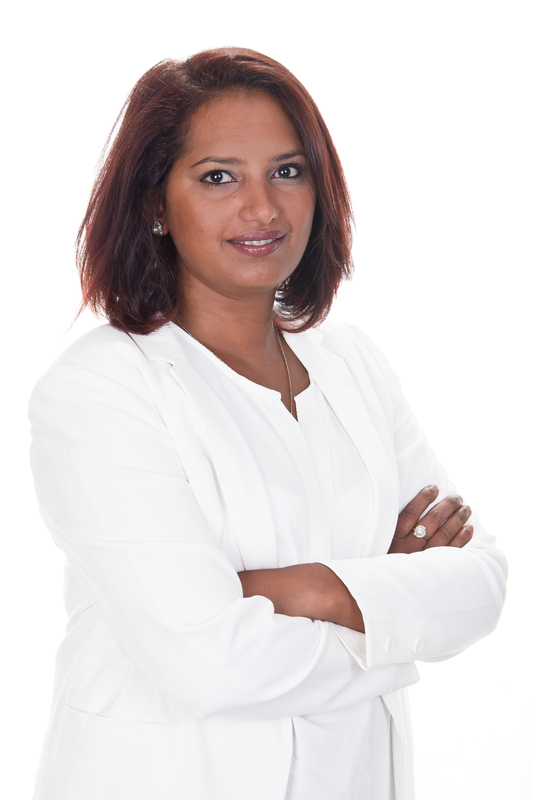 It is a small, flexible company that was founded in 2012 by a group of young people dedicated to the business and trying to break through the strong competitive environment of the printing industry. The adjective “young” in this case certainly does not mean inexperience. 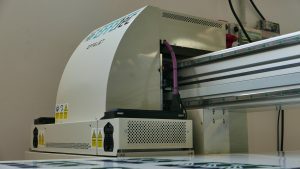 Everybody has been working for more than 12 years to gather experience in the development and production of large-format digital UV printers and the marketing of product marketing. Effetec currently boasts its sales volume and number of service locations not only in the Czech Republic. The company directory includes Western and Eastern European customers, as well as destinations outside of the European continent, countries of Africa, Latin America and Asia. Relationships and cooperation with many customers can in many cases be long-term. One of the main reasons why customers remain to Effetec faithful is that its printers have the ability to customize their parameters according to the specific wishes and needs of each individual customer. For example, I would like to mention the possibility of printing desk materials up to a 150 mm thickness, roll to roll option, the ability to fit different products, print flexibility, print size adjustment, choice of variants with different types of ink and automation for industrial purposes. 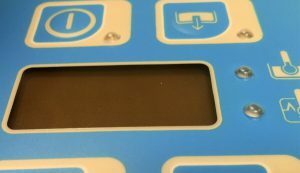 “We think we are proud of the EffeJet series of UV printers, and that this line is currently, in popular terms, a showcase for the company,” says Effetec sales director Donna Ivy Frantik, and continues to introduce this product. We interviewed the person most important,the director of Serymark Srl. Mrs. Anna Benedet. 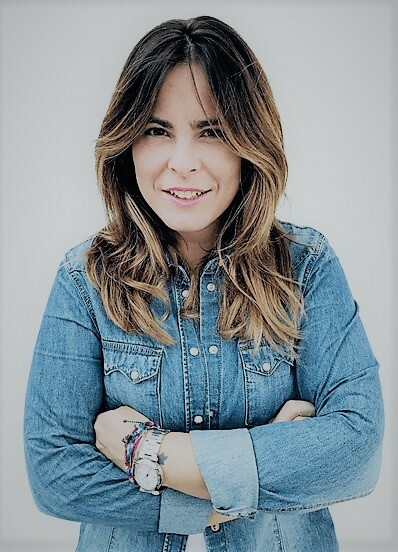 1, Who is SERYMARK, where are her roots, how she came into the subconscious of the printing industry and what is her current market position? Serymark is an Italian company founded on the occasion of the 60th anniversary of the birth of the province of Pordenone, Attila Marchetto, originally a screen printing technician, later a passionate photographer. Attilia Marchetta has gained fame, particularly with its photographic reports, capturing predominantly environmental and human fate themes. SERYMARK was the first pioneer of graphic design in the north of Italy – screen printing. The company’s quality of production is a close cooperation with the Zanussi electric appliance manufacturer worldwide. The fact that this company has chosen to sponsor our company also testifies that we have been able to cooperate with us through its competence, experience in the field, the quality of our products and, last but not least, our flexibility and innovative methods a path leading to the constant improvement of screen printing technology, tampon printing and digital printing. 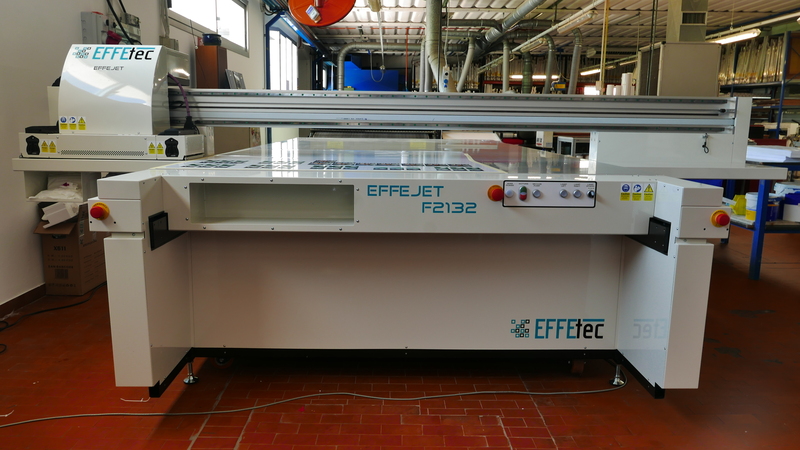 2, You selected the first printer at Effetec in 2013. 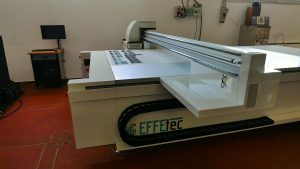 What are the key factors for making sure you get a UV printer from Effetec? What were your main criteria when choosing a UV printer? Did you compare the Effetec product with competing products? Of course, we have conducted a marketing survey and have been chosen among many manufacturers of large-format digital flatbed UV printers. EffeJet has simply convinced us of its quality itself. It simply looked perfect for our needs. I have to say that one of the decisive and most convincing factors in choosing a printer was, in our view, the ideal ratio between price and product quality. 3. In the past few years, you have invested in buying two Effejet machines. What were the main reasons for choosing this technology and what are the benefits of Effetec? 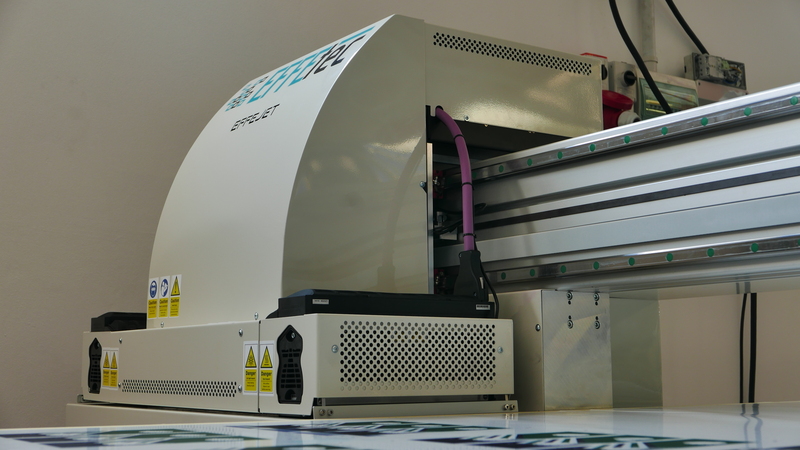 Yes, since 2013, we have purchased two digital EffeJet UV printers, measuring 3000 × 2000 mm and 3200 × 2100 respectively. When selecting a second printer supplier, of course, the very good experience from the previous collaboration with Effetec was taken into account, namely the period before 2017. The main reason for the purchase of printers was our intention to expand our production activities and, of course, the modernization of the machine park and the introduction of new technology into production. After considering our business plan, the choice was again on EffeTec. Well, in practice, it turned out that it was the right decision! 4, can you now judge whether EffeTec is able to withstand your printer in a competitive digital print environment? With a continuous comparison of the print quality of EffeJet, we have come to the conclusion that the EffeJet printer is precisely the product that can withstand even the greatest competition in the polygraphic industry. EffeTec also has the ability to fully adapt the printer’s capabilities to the specific requirements of each customer. 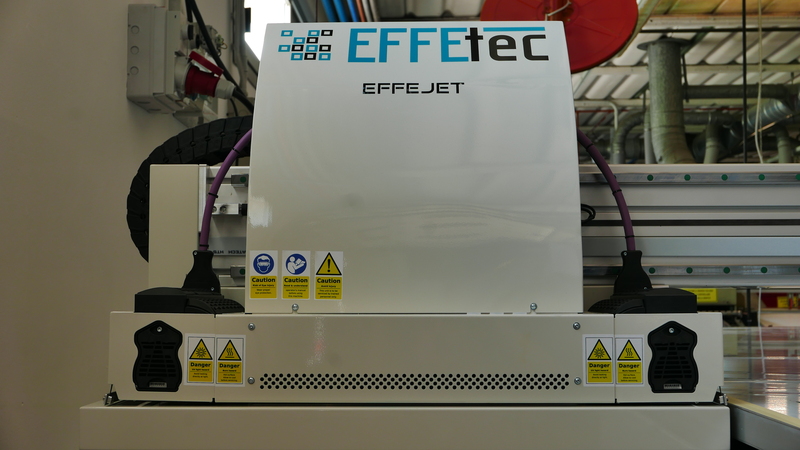 5, What role did Effetec play when selecting your Effejet printer? 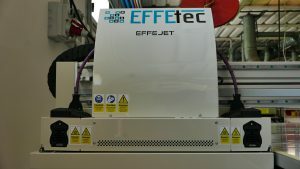 Effetec is well aware of our specific needs for the time of mutual cooperation, and has consistently demonstrated in recent years that it is capable of fully covering our needs and requirements, ranging from the quality of the machine to the adaptability of the unexpected situation and the constructive approach to problem solving. Which gives us the necessary security. 6, What is the significance of the digital press for you and what place do you think it is in today’s society? Of course, digital printing is our specialization, and we can therefore quite closely monitor how its technology is evolving rapidly and its importance as the industry is constantly growing. Even in the case of our specific activity – the printing of Zanussi white electronics components and not only this brand, we must constantly adapt to new customer requirements and familiarize with new developments. 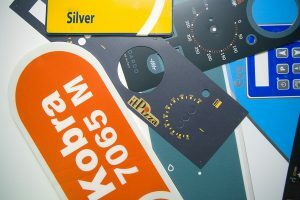 Simply digital printing, whether used in industries, advertising or in any other form, directly or indirectly addresses us whether we realize it or not. And so it actually occupies an unmistakable place in the life of each of us. 7, What is your experience with using the new EffeJet printer after 6 months of operation? Will you, in the future, consider buying another printer from Effetec? The purchased printer model fully meets our requirements and ideas. So there is nothing to change yet. However, the development of printers, as we know, does not succeed on the ground. More demands are placed on the customer, especially on print quality, machine speed and other aspects. However, I believe that Effetec is able to maintain and strengthen its market position in the future. I want to say that, if necessary, Effetec will be the first to address.